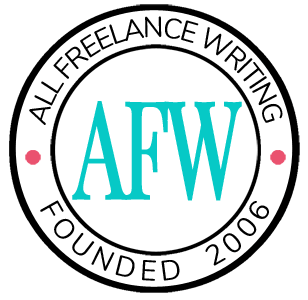 One of the hardest parts about adjusting to freelance writing life, and self-employment in general, is living with a fluctuating income. There may be periods of time that the projects and payments are coming in like a flood. Others, they’re as dry as a ditch on a hot summer day. What you do during those low-income months is so important because it will have a ripple effect once the pendulum swings the other way and your income is soaring again. During ancient times when there really were famines, (most) people didn’t continue having feasts as though nothing had happened. I say most because there were probably some rich people, pharaohs and such, who weren’t affected by famine. But, everyone else had to make some changes to their meals so they didn’t run out of food. The same thing goes for your money management. If your income is lower than normal, cut back on some of the extra things you do: eating out, shopping, book purchases, etc. It’ll help your money last longer. I admit, it’s hard to instantly adjust your lifestyle. With less income than you’re used to, it may seem easy to use your credit card here and there to make up for the difference. The trouble with that is you’ll have to pay that back with what you earn during the future “feast” months. What you really should be doing during those high-income months is replenishing your emergency fund, setting money aside for taxes, and contributing to retirement. Income shortages might occur because you didn’t work as much during a particular month. If you continue doing the same amount of work, it’s safe to assume you’ll continue earning the same amount. During low income months, increase your marketing and networking, reaching out to prospective clients to lessen the amount of time you’ll have to endure slow earnings. Don't wait too long to take action. You can prepare for the almost inevitable months of low income by setting money aside during months when you earn more. Then, you can use the savings to make up the difference between your lower income and your monthly expenses. But, be careful, if you use your savings too quickly before your income has recovered, it could run out. Low income months are tough, but be careful not to make it worse by making big money mistakes. Being short on money is hard enough; you don't want to spend months (or even years) recovering from that one time your writing income wasn't enough to cover everything. One mistake a lot of freelancers make is waiting for a work lull to start marketing and querying. I’ve been guilty of it. Now I try to squeeze in a few queries or LOIs even during my busiest weeks. It really can help even out the work (and income) flow – which is one of the biggest challenges freelancer face.